How do you combine one of history’s most loved periods with a new build development in London? Quite simply by styling elegant features of Art Deco period with dynamic, modern design. 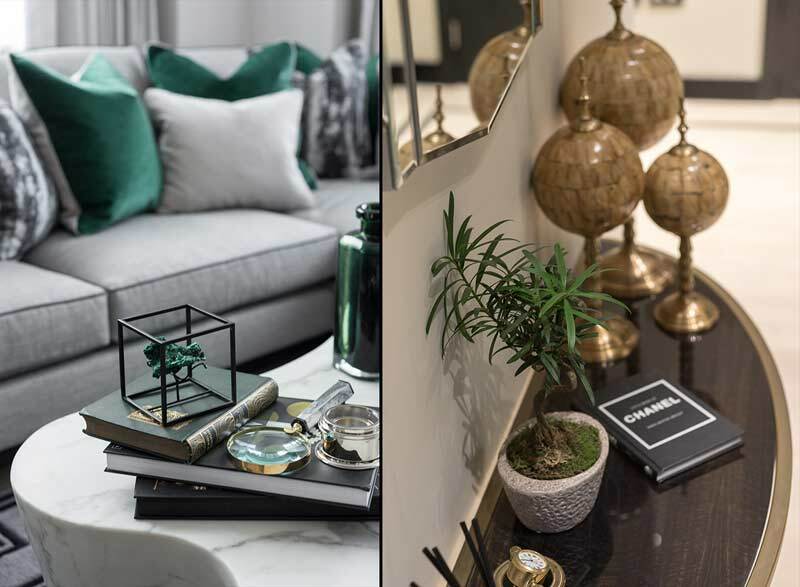 When the ani M team was tasked with creating a beautiful show flat for leading property developer Barratt at their boutique new build, Chapter Street, our designers set out to create a space that was stylish, charming and full of character. Designed by London-based EPR Architects, Barratt’s development was inspired by the lobbies and lounges of the iconic Claridge’s Hotel – its lavish interiors with a touch of 20s-era decadence paving the way to Chapter Street’s elegant façade and modern, yet timeless, floorplans. In keeping with the building’s contemporary take on Art Deco glamour, the ani M team decided to incorporate the same geometric designs and opulent finishes to the two bedroom show apartment. This stylish space features a highly updated approach to Art Deco, mixing modern neutrals with glamorous details. In the lounge area, the gentle off-white tones of the plush L-shaped sofa, floor-to-ceiling curtains and silk pattern wallcovering are offset by darker, edgier tones of emerald green and midnight black – testament to high-contrast colour palettes iconic of the Art Deco era. The team’s intelligent use of design is prevalent with the striking patterns of the white marble coffee table against a geometric rug, lending the room an eclectic and extravagant edge. Inspired by the wooden panelling found throughout Hampton Court and Kensington Palace, the team’s choice of elegant faux-effect wallpaper evokes the grandeur of a time gone by. This vintage decoration is gorgeously complemented with a lustrous black lacquer cabinet, complete with brass plated iron handles and a geometric metal base. From a magnifying glass to a brass quartz clock, decorative globes to vintage books, a collection of objets d’art creates a miniature gallery any guest would love to peruse. It is these carefully sourced accessories and attention to detail that truly distinguish the lounge’s interior. To capture the mystique and electricity of the Art Deco era, beautifully patterned wallpaper sets the scene for an unrivalled dining experience. Brightly coloured abstract art contrasts beautifully with cream-hued upholstered chairs – their dramatic scoop back and vinyl black legs adding a striking elegance. 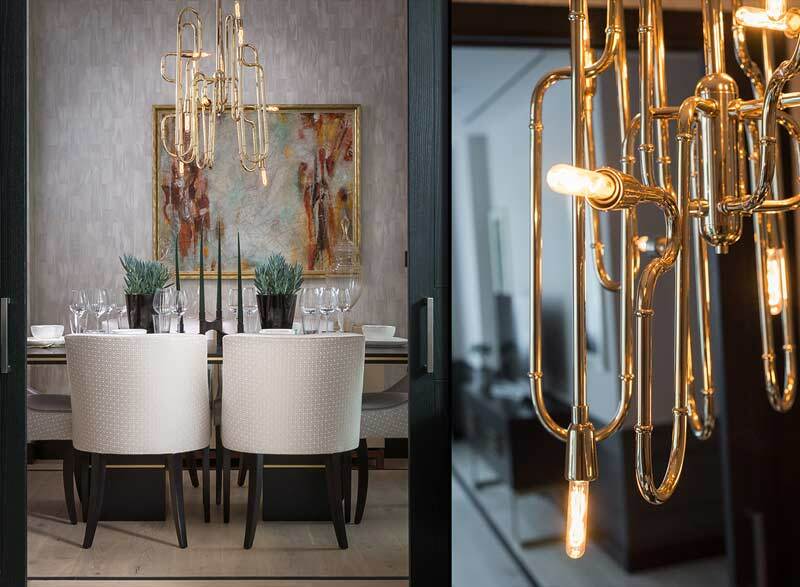 The dining room’s ornate design is punctuated by a tubular ceiling light, with a polished brass finish reminiscent of a trumpet and the sporadic nature of modern jazz. Decadent and delicious, it’s a dining room fit for a feast. 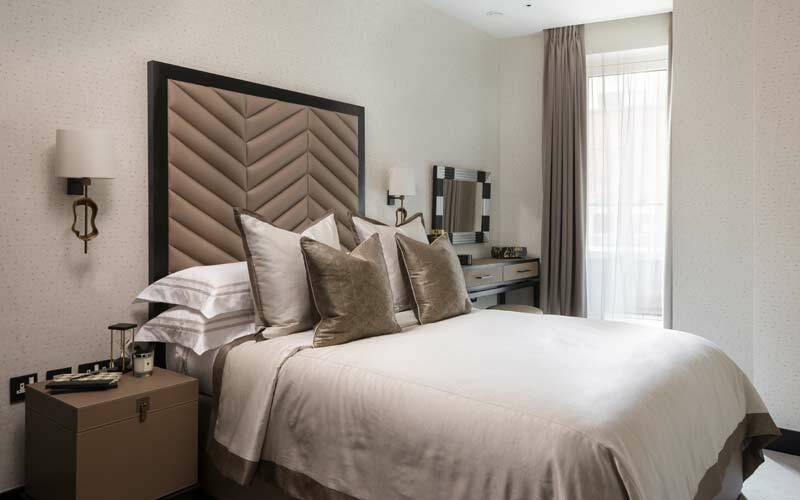 This theme of luxury is continued in both bedrooms, with sumptuous textures and metallic accents creating the grandeur and charm of a boutique hotel. In the master bedroom, silver infused grey lends itself beautifully to this subtly textured silk wallpaper; its metallic inlay creates a shimmery appearance on the wall in the glow of light. A neutral palette of soft, soothing hues creates a timeless and sophisticated look and makes for the perfect canvas for bold accents, like these beautiful brass metal wall lights. Leather furniture and layers of silk and satin create texture and depth, whilst a sprinkling of stylish ornaments add a personal touch. 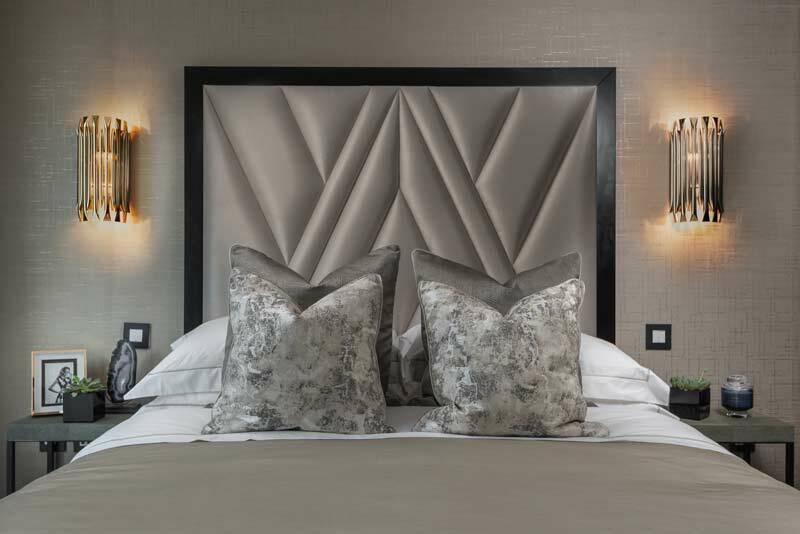 Featuring a padded headboard with an intricate mix of angular lines, this eye-catching design evokes the artistic appeal of the Art Deco era and lends a dazzling touch to the master suite. The overall result is an elegant bedroom to spend the night in style. Delicate textured wallpaper provides an elegant flourish in the second bedroom, with pearlised finishes adding lustre and shimmer to a neutral colour scheme. Soft sheets, cushions and pillows provide a setting that is comfortable and luxurious, and, like the master bedroom, a tall, etched headboard instantly catches the eye. As ornate bedroom details were commonplace in 1920s and 30s interiors, the team brought these elements into both bedrooms and bathroom for an instant Art Deco appeal. Regal style and luxury take centre stage at this two bedroom show apartment. 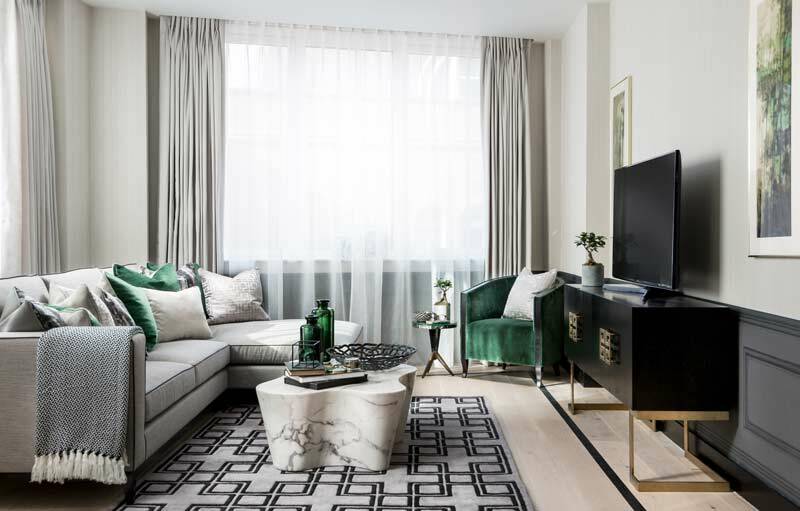 Showcasing carefully crafted interiors at every corner, the ani M team successfully harmonised classic Art Deco influences with a fresh, contemporary twist – a look perfect for this modern home. 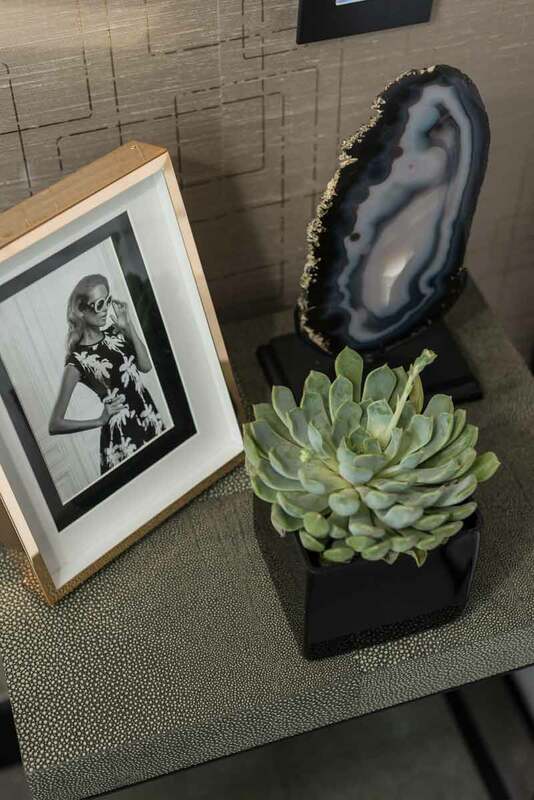 Want to give your apartment a touch of 1920s glitz and glamour? Our interior design team are ready to weave your ideas into a stunning reality. Get in touch with us today.